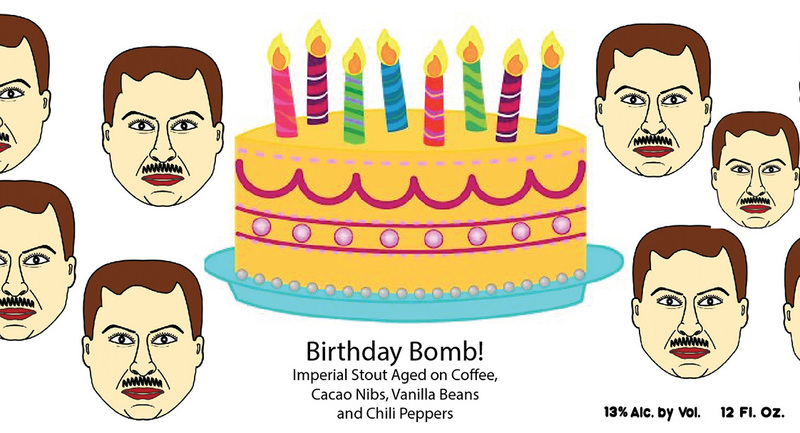 Beer » United States » Prairie Artisan Ales » Prairie Artisan Ales Birthday Bomb! “Bomb! was a mad creation in response to the many complicated brews that required an interpreter to approach. The path to creating this ultimate beer that never planned on taking itself seriously led to many unexpected revelations. It contained almost every ingredient imaginable. It was difficult. It was delicious. It was a free spirit, complex but lending itself to endless possibilities. It became a much loved member of the family, and a representation of our brewing style and how it has evolved. In its original form Bomb! comes close to being a heady, strong dessert in itself. This led to the conclusion that we had exponential possibilities with flavor profiles and aging processes.